See the User Manual for details. 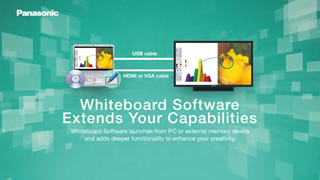 Simple whiteboard software has been prepared to make the touch screen display easier to use and more convenient. There's no need to install the software in your computer. It can be executed from external memory. Software can be operated from external memory. 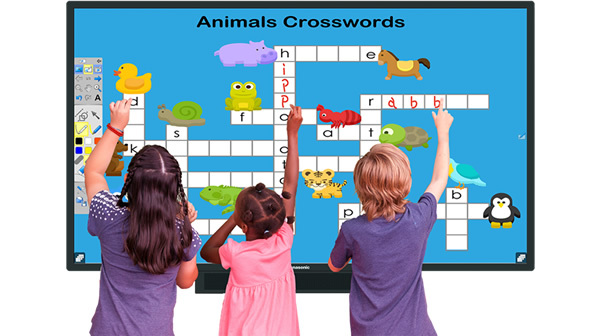 The multi-touch feature allows up to 10 points to be drawn at once. Operation and use are enhanced by two modes: Single mode and Multi mode. The modes can be easily switched from the menu screen. 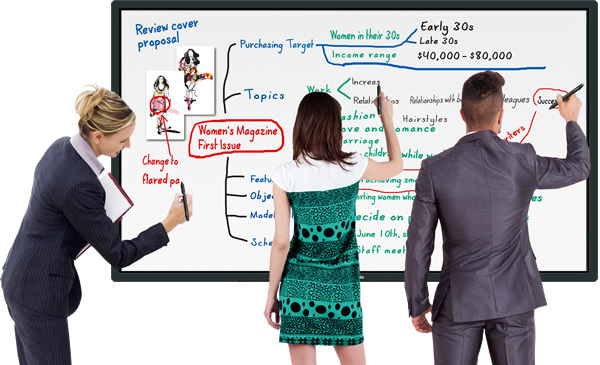 *1: When using the Whiteboard Software for Windows®. Only one point using the Whiteboard Software for Mac. * Single mode: Allows operation by drawing and gestures. However, only one person can draw at a time. 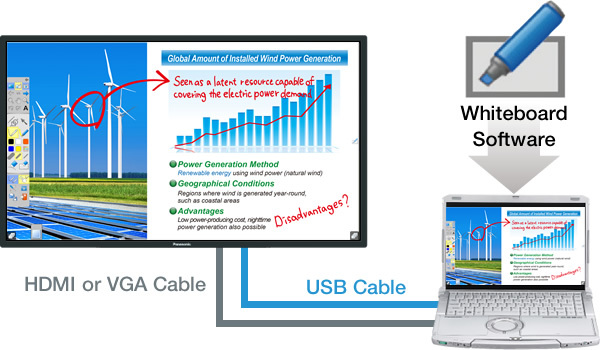 On the capture operation panel, the screen can be saved as an image in a Whiteboard page or a file. Records/saves the screen area selected with the recorder operation panel as a movie. 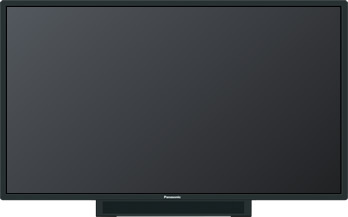 The Whiteboard mode and PowerPoint display can be easily switched with the menu icons. 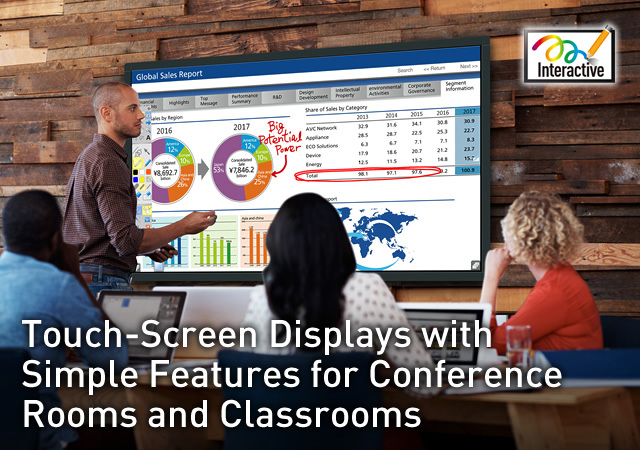 This makes it easy to switch to the Whiteboard mode to jot down notes while looking at the data in the middle of a discussion. 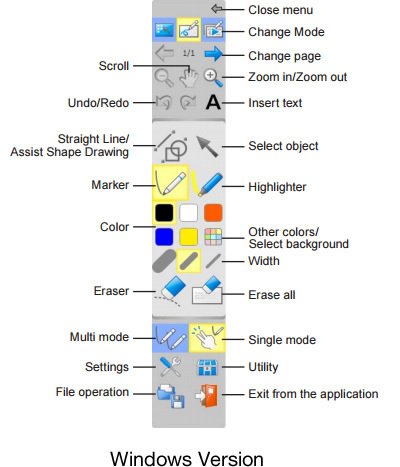 Two methods for hand-drawn character recognition are available: auto correction and manual correction after drawing. You can perform the following operations when use "whiteboard mode". Delete page: Deletes the selected page. Duplicate: Duplicates the selected pages and inserts them after the applicable page. Add new page: Inserts a new page after the selected page. Move page: Moves the page that are selected using the electronic pen to a desired position. 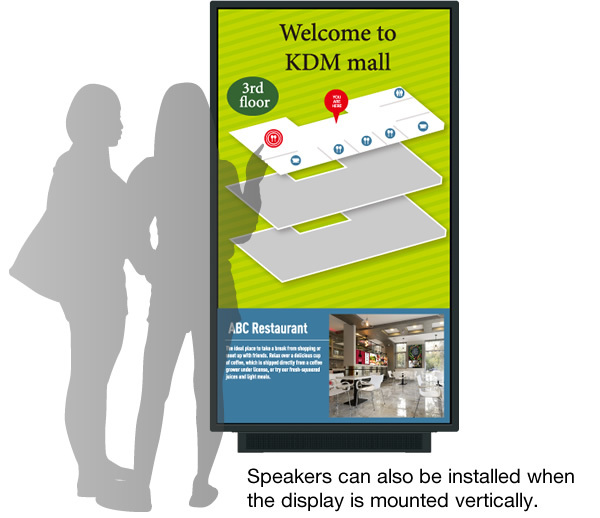 The screen can be incrementally enlarged or reduced in the range of 100% to 300%. This is convenient for checking fine drawings and small text. You can use the Whiteboard function from the Function Menu. Up to 100 pages of handwritten memos can be saved as one file. When giving a presentation, you can switch between PowerPoint and the Whiteboard function to leave whatever memos you wish. You can use a simple background for ordinary writing, the note background for writing the minutes of a meeting, or a grid-type background for producing drawings or layouts. Choose the background in the Whiteboard mode that suits your application. You can save data for the text that you have written into PowerPoint slides, or for notes that you have jotted onto the whiteboard. You can also retrieve and edit the saved data. By touching memo text with the Electronic Pen and dragging it, you can change the layout and font size after it is written. Adding lines of text and shifting the positions of memos are also smooth and easy. You can start up predetermined e-mail software from the menu icon, and insert PDF files of whiteboard memos or PowerPoint data with handwritten notes as an e-mail attachment. This allows participants to distribute e-mail messages instantly to relevant people. 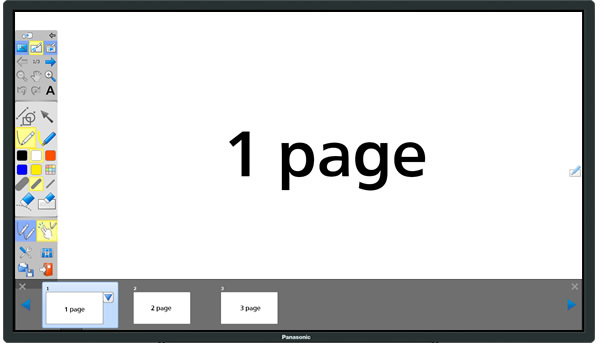 You can start up a predetermined printer from the menu icon, and print the page that is being displayed on the screen. 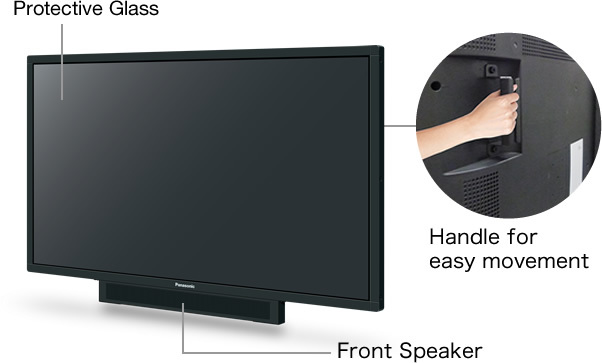 * Only the primary monitor is supported when using multiple monitors.